Crater Lake National Park, the only National Park in the state of Oregon, attracts some 482,000 people annualy. 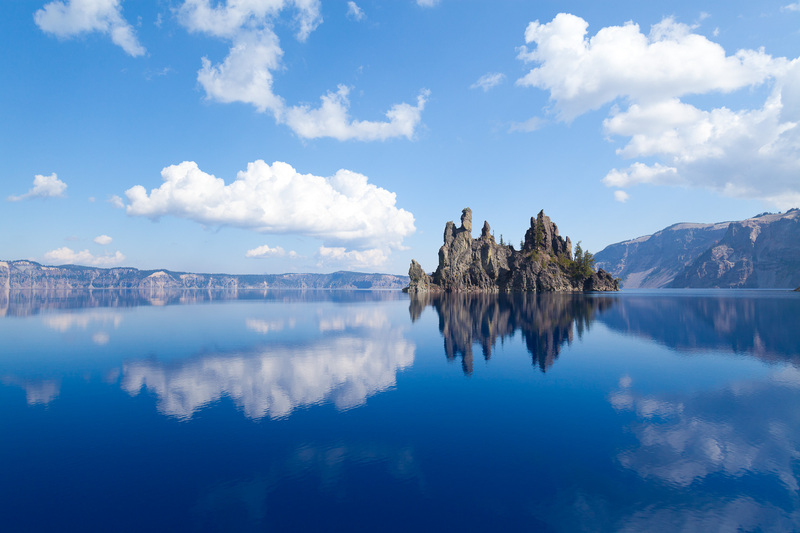 The lake itself is 592 meters (1,943ft) deep and is the deepest lake in the United States. The park was founded in 1902 and seeks to preserve the natural and cultural resources. Crater Lake lies in a caldera, or volcanic basin, created when Mt. Mazama collapsed around 7,700 years ago. The clarity and blueness of the water are unique to this geologic area. The lake is filled almost entirely by melted snow. The lake is only accessibly by one trail, the Cleetwood Cove Trail, which leads down to the water for access to the tourist boats. Boat tour on the lake.